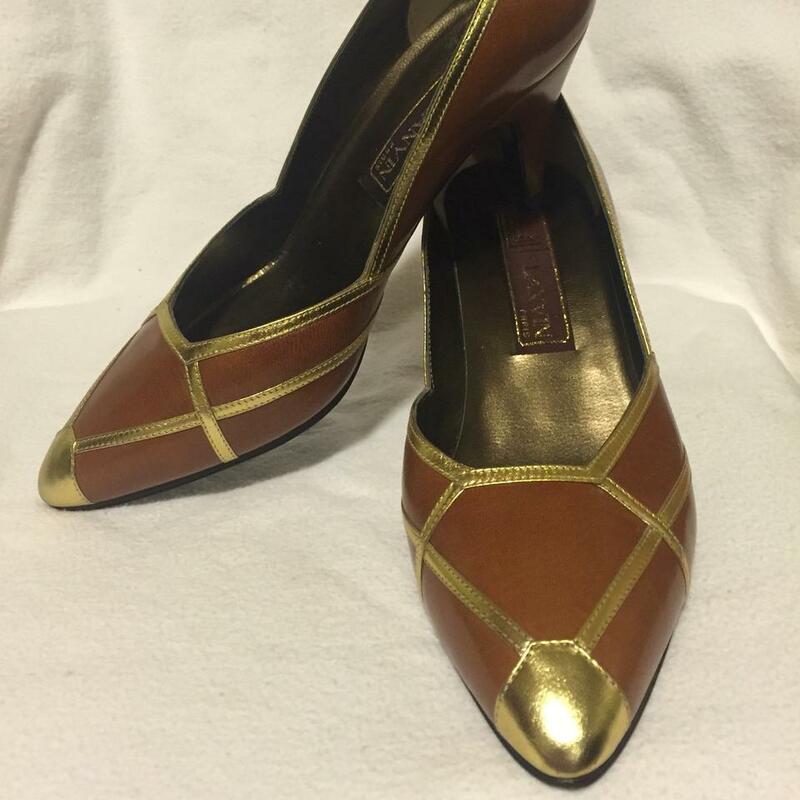 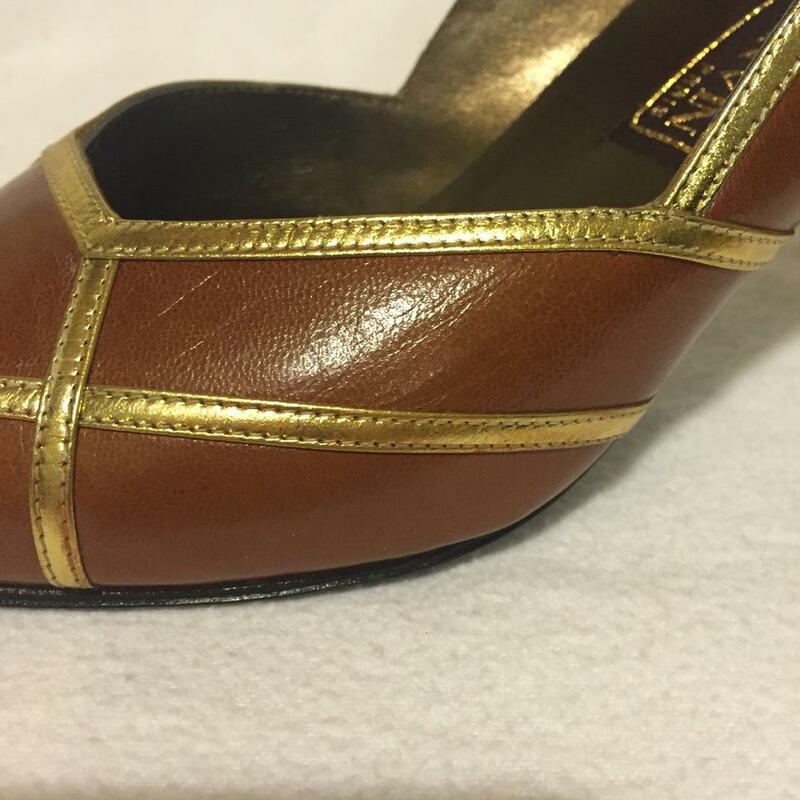 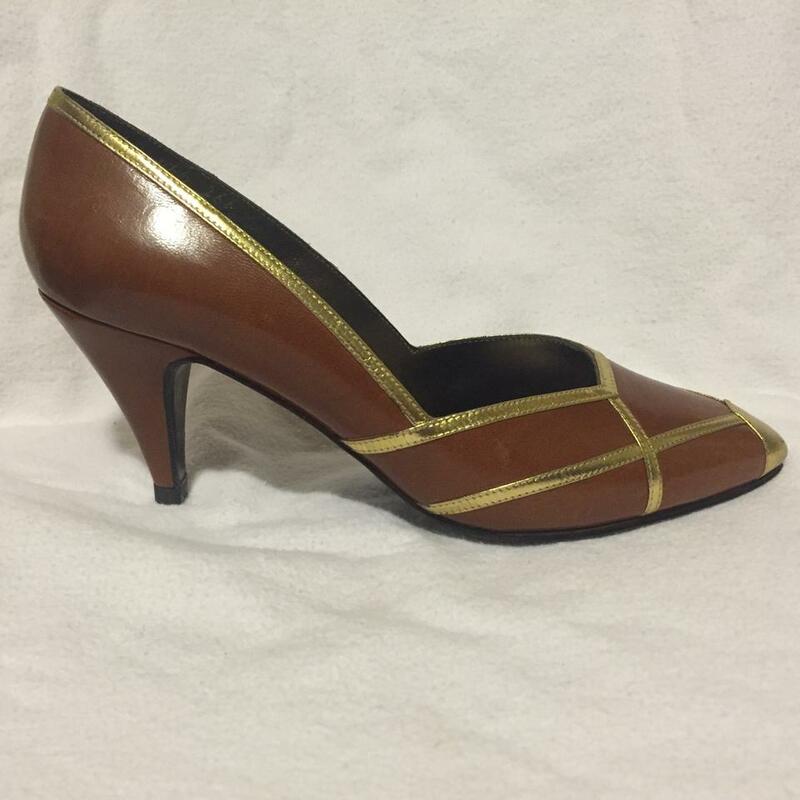 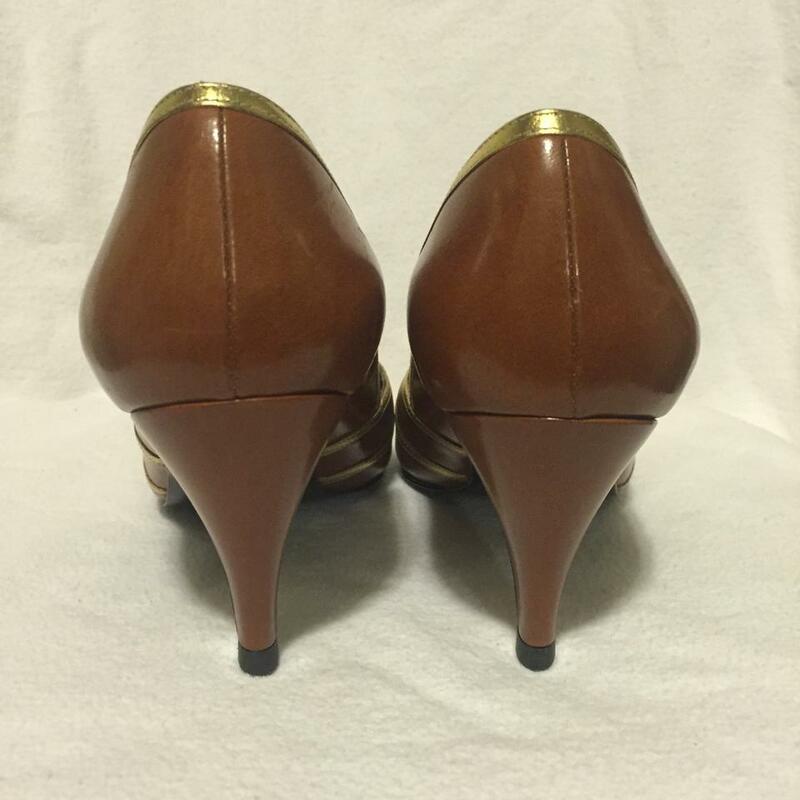 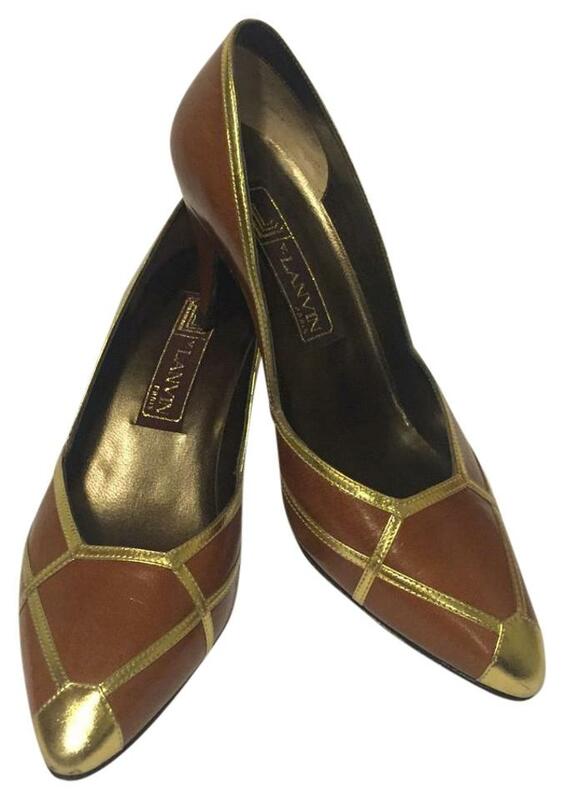 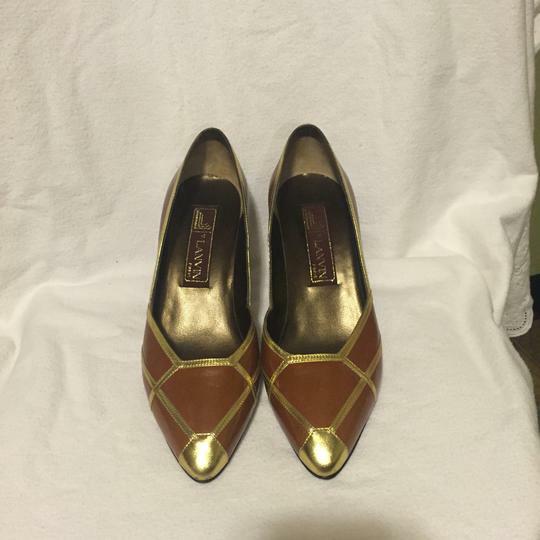 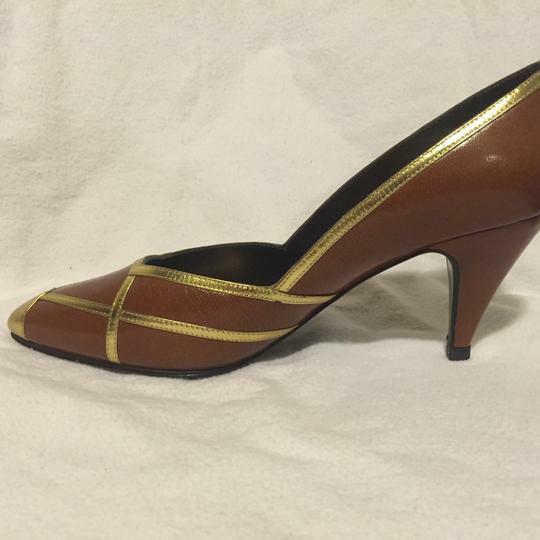 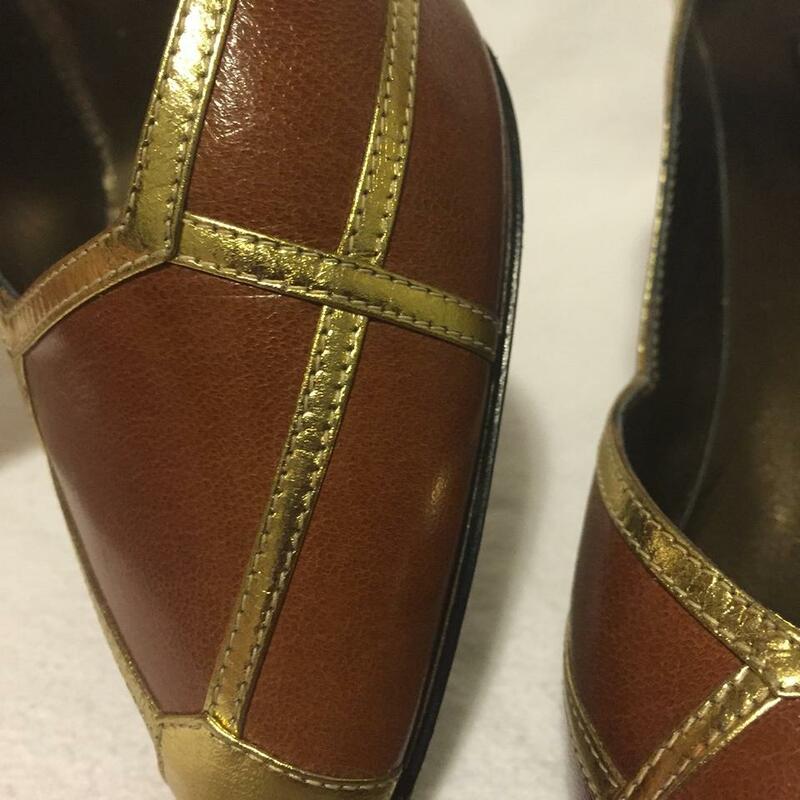 Lanvin warm brown pumps with gold toe and trim. 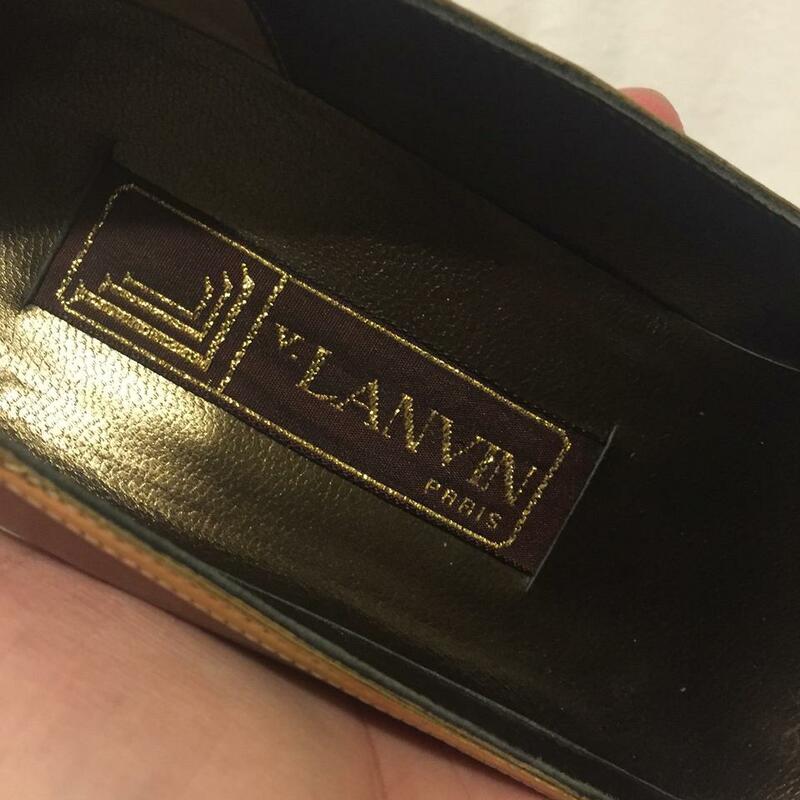 These shoes fit like a 7. 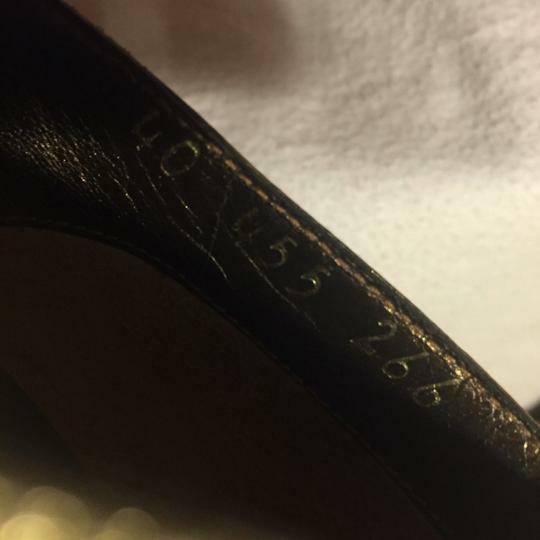 The is a 4 stamped on the bottom, but there is no way these shoes are a 4. 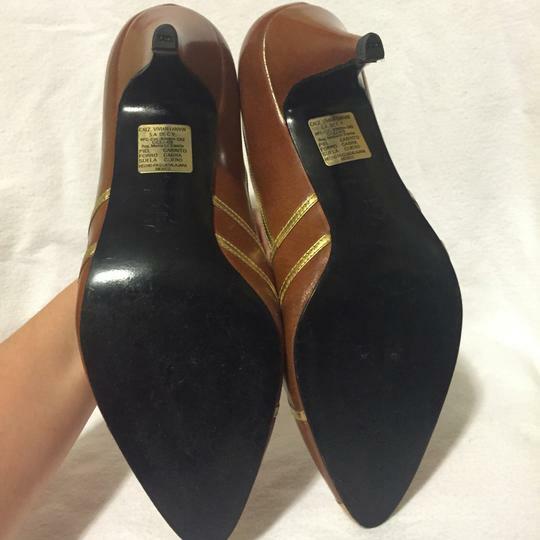 I am a 6.5 and these are just slightly big on me.